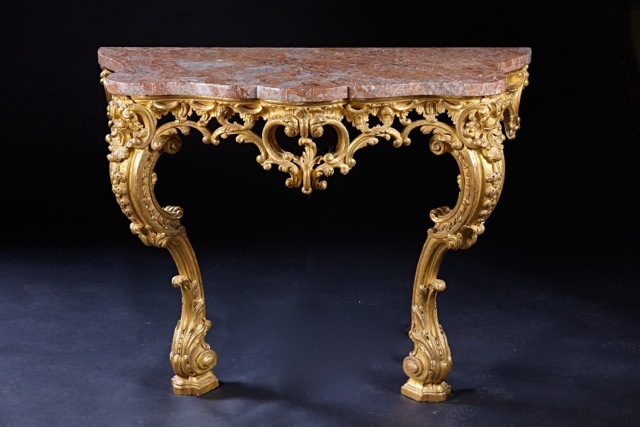 A George III giltwood Rococo pier table with marble top. English, circa 1760. The wall mounted, cabriole leg table is deeply carved with foliate and scrolled designs, having a dramatic open cut apron.